The Bangalore ATM attacker has been identified as one Narayan Reddy, a resident of Nallacheruvu Mandal, Cheruvulavadla village in Andhra Pradesh. However, the police have not been able to nab him yet. Sources in the Karnataka police say that they will arrest him soon, as he is believed to be in Andhra. A team of Karnataka police officials is camping near the village and are coordinating with the their counterparts from Andhra Pradesh. A habitual offender, Narayan Reddy has not visited his house where his father Shiva Reddy lives for the last five years, say police sources. He had allegedly attacked a woman with a machete at an ATM kiosk in Bangalore in mid November, leaving her critically injured. She was later identified as Jyothi Uday, a bank manager. A CCTV footage showed him threatening Uday, then attacking her. He then cleaned the blood with her napkin, took away her phone and left the kiosk after pulling down the rolling shutter. The Bangalore attacker is also believed to have murdered a woman in an ATM in Andhra’s Dharmavaram town on November 10. Meanwhile, Uday is out of the ICU and shifted to a private ward at Bangalore’s BGS Global Hospital. She is recovering well, her doctors said recently. 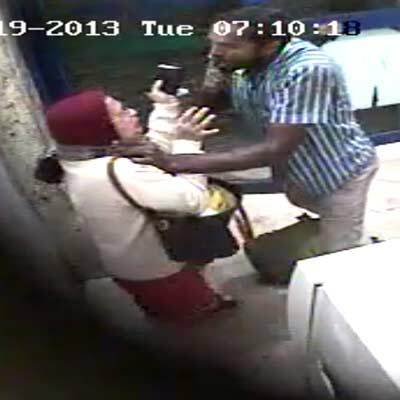 PHOTO: Did Bangalore ATM attacker kill woman in Andhra?